Other photos: Photo 1, Photo 2, Photo 3, Photo 4, Photo 5, Photo 6, Photo 7, Photo 8, Photo 9, Photo 10, Photo 11, Photo 12, Photo 13, Photo 14, Photo 15, Photo 16, Photo 17. There is not one Intrepid 327 in the market with so many extras as this one!! No expense was spared building her and maintaining her by the current owner. Bought direct from intrepid and an electronic package of $50000 that includes: FLIR, Radar, Autopilot, Fish Finder, Dual 7212 Garming displays, KILLER JL Sound System, Airhorn and many more extras. LOCATED IN CURACAO AND CAN BE SHOWN AT A MOMENTS NOTICE. SYS Yacht Sales is pleased to assist you in the purchase of this vessel. This boat is centrally listed by Yacht Broker Caribbean. Since their first boat was launched in 1983, Intrepid Powerboats has been fully committed to designing and building vessels of the highest quality that excel in safety and comfort for their owners. A “customer driven company,” Intrepid sets itself apart from the competition in boat manufacturing with their dedication to fulfilling the desires of each unique owner. Combined with Intrepid's advanced composite construction, each boat is not only unique to its owner but is stronger and stiffer, faster and more fuel-efficient to deliver the safest, smoothest, driest-ride on the water. Here’s just a few of our customization features. 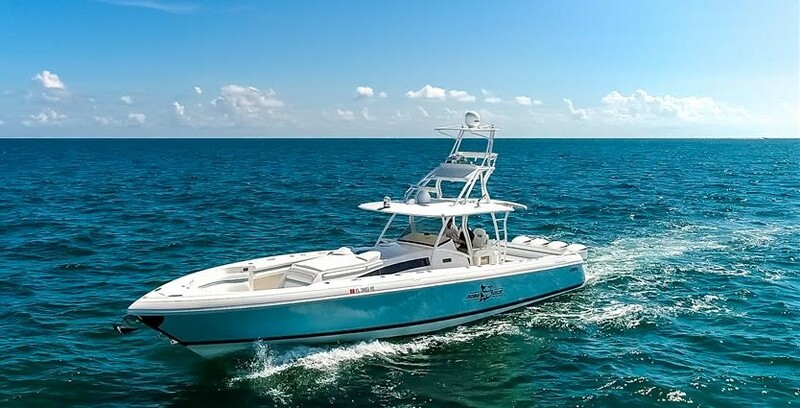 Buying a Intrepid: We offer used Intrepid Powerboats for sale worldwide, including Intrepid Center Console, Cuddy, Walkaround, Sport Yacht models and more! Contact our sales professionals for immediate assistance. Selling Your Intrepid: With a team of experienced yacht brokers and marketing professionals, we will employ a comprehensive marketing approach to ensure your vessel receives maximum global exposure online as well as exposure in person at major boat shows. Learn more about how SYS Yacht Sales will help to sell your Intrepid boat!